PORTLAND, Ind. 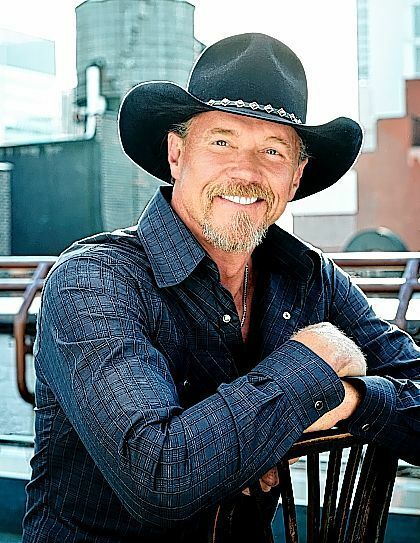 — Officials at the Jay County Fair in Portland have announced the featured performer will be country music powerhouse Trace Adkins, who will appear in concert at the fair Wednesday, July 8. Adkins’ trademark baritone has powered numerous hits to the top of the charts and sold more than 10 million albums, cumulatively. Adkins, a former oil rigger, debuted on the music scene at age 33 in 1995 with the album “Dreamin’ Out Loud,” on Capitol Records Nashville. He has since released seven more studio albums and two compilation albums. His top-selling album was 2005’s “Songs About Me,” which was certified double platinum for selling more than 2 million copies. The Grammy-nominated member of the Grand Ole Opry is a TV personality, actor, author, spokesman for the Wounded Warrior Program and the American Red Cross, for whom he raised over $1.5 million dollars as winner of NBC’s All-Star Celebrity Apprentice. In recent years, Adkins has performed 10 USO Tours. Tickets for the Trace Adkins concert are now on sale with a ticket order form on the fair’s website, or call 888-282-2728. Tickets are $65 for standing pit tickets, $50 for track seats, and $37 for grandstand seats. A $2 per ticket fee will be added for credit card orders. For more information, visit the Jay County Fair’s website at www.jaycountyfair.com. The dates for the 2015 Jay County Fair will be July 6-11.